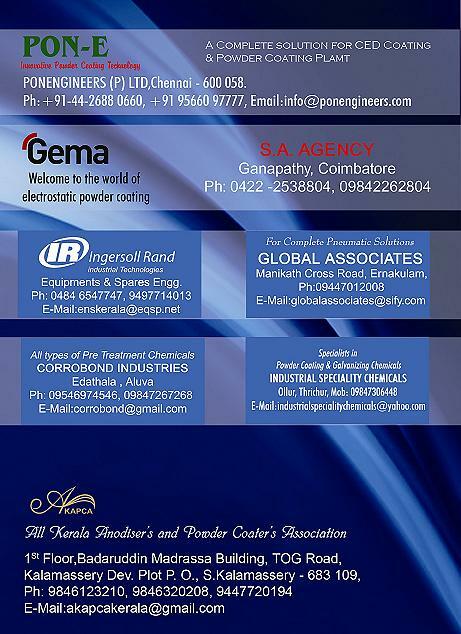 Welcome to the February 2014 edition of the IPC e-newsletter. The IPC e newsletter is distributed free to more than 4000 people around the world. LUCKNOW: Berger Paints India, the major paint company with global footprints has inched further towards the green pledge with introduction of new products under its 'Breathe Easy' range. Notably, Berger was one of the first companies in the industry to take a step towards green pledge when it had made all its Lewis Berger brands eco safe a year back. An "eco safe" product is a paint which has no added lead, mercury and chromium with minimum aromatic content and acceptable levels of VOC. The new products being introduced in the Breathe Easy range are Breathe Easy Emulsion, Breathe Easy Enamel, and Breathe Easy Primer. Like other consumer goods companies, paint makers have also started looking beyond cities. Their New Year resolution is to enter the legions of villages and small towns or increasing their reach if they are already present there. For, they believe only Bharat promises accelerated growth. “Rural market is a big hope for us. It is driving our sales. We are expanding our distribution network in these locations to make the most of this opportunity,” Ramakanth V Akula, president (decorative), Nippon India, told Business Standard. The Break-Away Cyclone powder coating separator from Nordson Corp. is designed so that the upper and lower sections can be disconnected for thorough cleaning, enabling operators to clean the interior surface with a compressed air wand.The Break-Away Cyclone powder coating separator from Nordson Corp. is designed so that the upper and lower sections can be disconnected for thorough cleaning, enabling operators to clean the interior surface with a compressed air wand. New Delhi: Paints and coatings company Akzo Nobel India on Thursday reported a 46.65 per cent decline in net profit at Rs. 27.01 crore for the third quarter that ended in December 2013, due to special dividend payout. The company had posted a net profit of Rs. 50.63 crore for the corresponding quarter in the previous fiscal year, it said in a statement. However, net sales of the company rose to Rs. 643.93 crore for the quarter under consideration from Rs. 594.05 crore in the same period a year ago. "The special dividend payout in this financial year has led to a reduction in our cash surplus and also resulted in a drop in investment income, which is largely responsible for the PAT being lower when compared to the previous year's corresponding quarter," Akzo Nobel India whole-time director and CFO Himanshu Agarwal said. According to the study, the market size for antimicrobial coatings was about $1.5 billion in 2012 by value and is estimated to grow with a CAGR of about 11.8% from 2013 to 2018. The study provided also includes the value chain analysis with respect to antimicrobial additive suppliers such as BioCote, Halosource, Microban, Sciessent LLC (Agion); and manufacturers such as AkzoNobel, BASF, Diamond Vogel, PPG, Sherwin-Williams. The "Antimicrobial Coatings Market by Type (Silver, Copper, and others such as Zinc Oxide, Titanium Dioxide, and Zinc Omadine), Application (Indoor air/HVAC, Medical, Mold remediation, Building & Construction, Food & Beverages, Textiles, and others), & Geography (North America, Europe, Asia-Pacific, and ROW) - Global Trends and Forecasts to 2018", analyzes the Antimicrobial Coatings Market with respect to market drivers, opportunities, and trends in the diverse geographical regions. Berger Paints has launched a new campaign for their exterior paint brand, WeatherCoat All Guard. Conceptualised by Rediffusion Y&R, Kolkata, the campaign aims at the Kerala audience and therefore uses a lot of Kerala nuances. The idea behind the campaign came from the belief that Malayalis are house proud. They build houses and associate their names to the structure. These houses are then known by the name and not by the street address. To make sure that the product resonates with this attribute, Berger Paints had to emotionally connect with the audience. According to research done by them, rain is considered to be the single biggest threat to the well-being of a house. WeatherCoat All Guard, with its silicon additives, helps keep houses protected from rain and looking fresh. Jotun Saudi Arabia, the Kingdom's number one coatings manufacturer, conducted a seminar to outline the benefits of the Jotaguard RB range of performance coatings to an invited group of structural consultants, architects, contractors and rebar coaters. 2014 Deep Research Report on Global and China Automotive Paint & Coating Industry is the new market research report added to the online library of 'Deep Research Reports'. “2014 Deep Research Report on Global and China Automotive Paint & Coating Industry” is a professional and in-depth research report on the Global and China automotive paint & coating industry. The report provides basic automotive paint & coating information including definition, classification, application, and industry chain structure as well as industry overview. This research covers international market analysis including China’s domestic market as well as global industry analysis covering macroeconomic environment & economic situation analysis. The report on automotive paint & coating industry (http://www.deepresearchreports.com/111420.html) covers information on policy, plans for automotive paint & coating product specification, manufacturing process, product cost structure and much more. This report also provides statistics on key manufacturers in China and international market along with their automotive paint & coating production, cost, price, profit, production value, gross margin and other information. PPG Industries aerospace coatings group has qualified AEROCRON(TM) electrocoat primer to SAE International's Aerospace Material Specification 3144 for anodic electrodeposition primer for aircraft applications. AkzoNobel Powder Coatings today announced its intention to relocate its manufacturing facilities in Ningbo and Suzhou to the Chang Zhou National High-Tech District by the end of 2015. The current location of AkzoNobel’s Ningbo site has been designated as a future residential zone in the Chinese government’s 2010 urbanization plan, therefore making it unviable for future operations. Discussion with the local Government resulted in Chang Zhou being identified as a suitable alternative location. At the same time, AkzoNobel will also relocate its Suzhou plant to Chang Zhou. This move will further support the company’s integrated business strategy focused on ensuring sustainable growth of its business in China. Cambridge, Mass. – October 21, 2013 – Active camouflage has taken a step forward at the Harvard School of Engineering and Applied Sciences (SEAS), with a new coating that intrinsically conceals its own temperature to thermal cameras. A tropical carnivorous plant – the pitcher plant – which traps its prey inside its body with a virtually frictionless surface is inspiring a new generation of coatings capable of repelling liquids including blood, oil, honey and even ice. Nature is well-known for its ability to repel liquids with lotus leaves, rice leaves, butterfly wings, mosquito compound eyes, cicada wings, red rose petals, gecko feet, desert beetles, and spider silk all having the ability to remain dry. However, the pitcher plant or Nepenthes, which is found in countries including Australia, Malaysia and Madagascar, has a special adaptation which creates a near frictionless surface with unique self-healing properties. The ability to repel liquids and contaminants has important applications to industry and everyday life. Coatings are needed to help stop the formation of life-threatening bacteria on medical instruments, ice build-up on air planes, fouling on ship hulls, anti-corrosion and the efficient transportation of products like crude oil by pipeline. The pitcher plant is different to some other nature-inspired adaptations by ‘locking-in’ a lubricant layer onto the surface of its skin which cannot be penetrated by another liquid and is more damage tolerant. The result is also fatal to the plant’s prey – insects and small frogs – which are unable to climb out of its smooth, deep, tubular-shaped body. A team at Harvard University have now been able to mimic the pitcher plant’s inner skin design to produce a transparent coating capable of being economically applied to almost any object – large or small. The multi-stage coating process involves attaching a thin, but rough layer of porous silica particles which are used to lock-in a lubricating layer onto the surface to be protected. Its diverse applications could include acting as an anti-graffiti coating on walls or on medical implants to aid blood flow. Researchers at Aalto University have developed a method of selection of new surface treatment processes for orthopaedic and dental implants to reduce the risk of infection. Implants are commonly made from metals such as titanium alloys. These materials are being made porous during processing used to prepare them for medical use. Whereas this is important to ensure good contact between the implant and the bone, this also allows dangerous bacteria to adhere and grow both on the surface as well as inside leading to increased risk of infection. "Our work has focused on developing an analysis of surface treatments for commercial implants which reduces risk of infection," said Professor Michael Gasik at Aalto University. "What we wanted to do is find a way to avoid the formation of any undesirable products during the processing of the implant." "At the same time we needed to make sure that the bio-mechanical properties of the implant would remain intact and, even more, become better." Experts suggested that the new paint odor emitted from a mahout might have irritated the elephant and enraged it into whipping the zookeeper, who had been training it for years, to death at a famous tourist complex in southern Vietnam on Monday. The theory was released after the death of 28-year-old Doan Huu Tai, an elephant keeper at the famous Dai Nam Tourist Center in Hiep An Ward, Thu Dau Mot City, Binh Duong province. On December 23 afternoon Tai stepped into the cage of a 9-year-old elephant named Ka, weighing about 2 tons. He had a can of paint in his hand and was about to begin painting the cage when the animal suddenly raised it trunk, twined Tai’s body and lashed him against the wall of the cage. 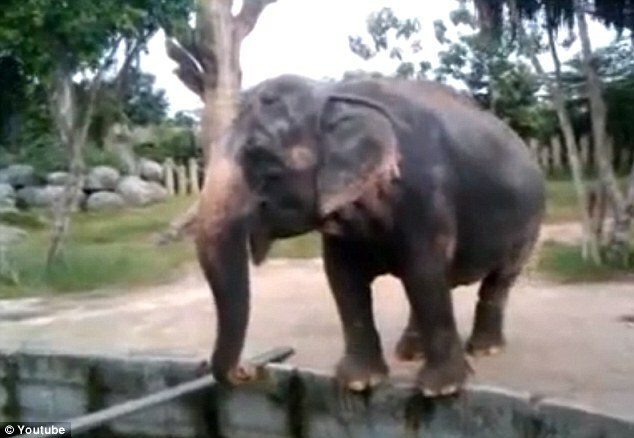 The elephant then threw Tai into its water basin. Tai’s head smashed against the wall of the cage. He died later due to serious brain injury. Heather Beal, an Alabama mother of two, admits that she has guzzled close to three gallons since she first started the practice three years ago. Ms Beal says that she prefers paint in marker form, and goes to the hardware store to feed her habit. Every day she pries the cap off one paint marker and drinks the contents. 'I drink paint from markers because I have looked for other paint both in quart or gallon form, and I haven't found one that satisfies my desire,' she explains. Ms Beal demonstrates how she shakes the paint marker pen up to get the ideal consistency - the sticks it in her mouth. In another scene, her eye twitches as she downs a shot of white paint in front of the camera. Ever greater demands are being placed on surfaces, and thus on coating technologies as well. On the one hand, efficient use of resources, individuality and environmental compatibility are decisive in this respect. On the other hand, new ranges of applications, quality and flexibility play a significant role as well. With numerous new and further developments, the exhibitors at the 5th PaintExpo will provide answers on how these challenges can be met. The leading international trade fair with more than 400 exhibitors will take place at the exhibition centre in Karlsruhe from the 8th through the 11th of April, 2014. Whether motor vehicles, consumer goods, machinery and equipment, communications, electronics, architecture, medical technology or energy are concerned – there’s hardly an industry sector in which coating technology is not ever-present. A great variety of functional and decorative requirements need to be fulfilled for various surfaces. And it’s always important to apply coatings or paint using as little material and as few resources as possible, as ecologically as possible, and with the best possible quality – regardless of the base material. The exhibitors at PaintExpo offer new solutions and further developments to this end, throughout the entire process sequence for liquid painting, powder coating and coil coating. For instance, where the pre-treatment of metallic substrates is concerned, iron phosphating which becomes effective at temperatures of as low as 30 to 35° C, instead of 40 to 60° C, as well as nano-ceramic systems, are becoming more and more prevalent. In the meantime, products based on renewable raw materials are also available for the pre-treatment and cleaning of components made of steel, iron and aluminium. Alternative processes such as snow blasting and plasma cleaning are also on the advance for the pre-treatment of plastic parts. In the field of painting, there’s a trend towards systems which fulfil decorative as well as functional requirements. For solvent-based paints and clear coats used on metals, plastics and wood, additives are available which provide the paint with, amongst other things, antimicrobial characteristics. These are based on organometallic substances which have an ionising effect. These substances are also being used in newly developed powdered enamels with antimicrobial effect. For components used in, for example, construction and farm machinery, as well as in outdoor applications, requirements have become stricter for corrosion protection and resistance to UV radiation and weathering. These requirements can be fulfilled effectively and ecologically with an epoxy-based primer powder which is free of zinc and heavy metals. It fulfils corrosion protection requirements up to C5-I lang, and can be painted over with powder coatings as well as liquid paints. The corrosion protection primer is offered as a solution which is ideally matched to the substrate to be coated (ferrous metals, substrates with sharp edges, castings). Another newly developed 2-layer powder coating solution for highly effective corrosion protection allows for coating without energy-intensive, intermediate cross-linking. Primer and top coat are applied to the component using a powder-on-powder process based on tribotechnology, and both layers are subsequently cross-linked in a single step. The significance of UV technology continues to grow for plastic as well as metal parts, because more and more complex workpieces can be coated with the help of this method. UV curing takes place in an inert gas atmosphere, for which CO2 or nitrogen is used to reduce oxygen content. This prevents the radicals which are required for the polymerisation process from reacting with oxygen in the atmosphere, thus ruling out the possibility of a co-called oxygen inhibition. Curing can thus take place at larger intervals, and areas which are subjected to significantly less UV radiation are better cured as well. In addition to gas discharge tubes, LED radiators are also used for curing UV paints in the meantime. In the interest of material efficiency for the application of solvent, water-based and high-solid paints, alternative atomising gases are also being tested. The use of nitrogen allows for material savings ranging from 5% to 45%. Beyond this, a corresponding process which, in the meantime, has proven its worth in various series applications in the automotive industry, offers advantages with regard to painting quality, throughput and system availability. Innovations and further developments will await visitors throughout the entire exhibition programme at PaintExpo which covers coating equipment, application systems and spray guns, liquid paints and powdered enamels, automation and conveyor technology, cleaning and pre-treatment, drying and curing, environmental technology, pneumatics, compressed air supply and exhaust purification, water treatment, recycling and disposal, accessories, measuring and test technology, quality assurance, paint stripping, job-shop coating, services and technical literature as well as identification, printing and packaging. The WTT Expo trade fair for industrial heating and cooling technology and the HallTec trade fair for technical building equipment for industry and the commercial trades will take place concurrent to PaintExpo 2014 at the Karlsruhe Exhibition Centre. It was interesting to meet Jayesh Ponda ( Vijay Enterprises Pvt Ltd ) at the Engineering Expo here in Indore. He told us about the new fluorescent and other special powder coatings developed at Vijay Enterprises. 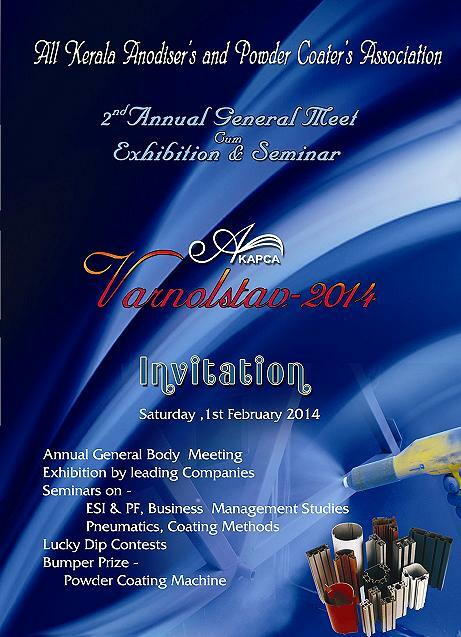 Also discussed about the future of powder coating in India.